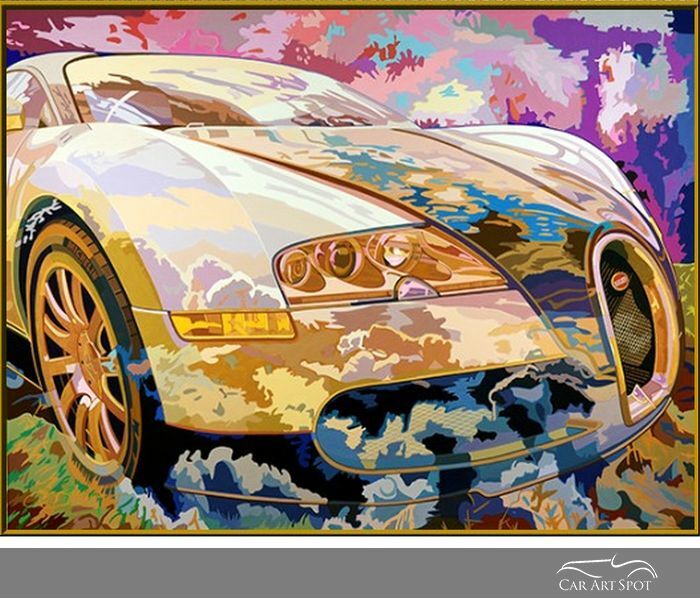 When car art meets fine art; Bugatti Flower Power. 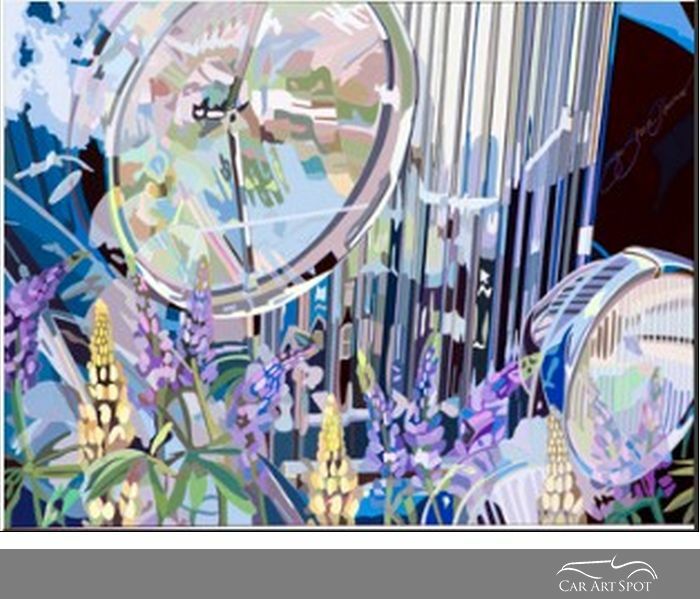 An interview with AFAS automotive artist Sue Steele Thomas. 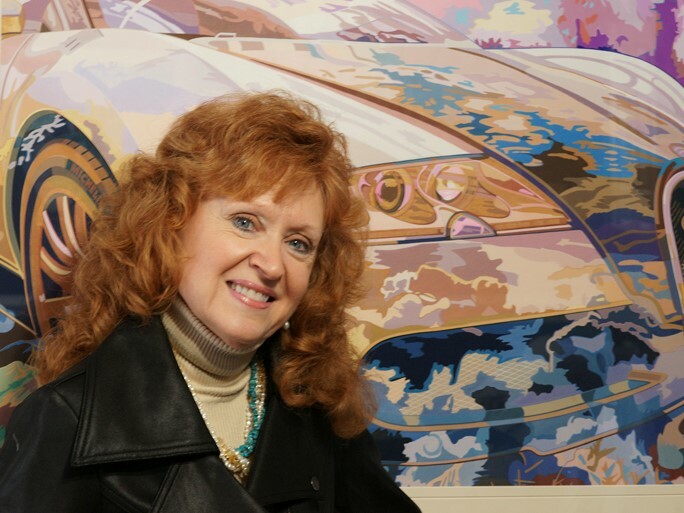 Sue, I read on the AFAS site that you are an Art Professor as well. You must have a busy schedule. It is but it’s a good one. I really like to teach. The kids are eager and they want to learn, so it makes my job fun and I paint because it’s something I have to do. If I don’t paint, I don’t feel well. It’s in the soul. So what made you pick cars? That’s a good one. My father used to repair them and when I met my husband he had several cars which he was restoring, Then I was forced to do an illustration of an automobile in a college class and it struck me what amazing machines automotives are. My father built things out of metal and could repair anything. So the mechanics were just so intriguing to me. It’s always been a mans world and I wondered what I could do to be part of it and I think by painting them, it was my way of getting into the automotive world. When was the moment you threw in the flowers? I thought my parents would think I had gone mad. What was this woman doing to these beautiful cars? I did realistic art in the beginning and some illustrations for a magazine a long time ago. The Art Director back then was Bill Motta who is of course a founding member and VP of AFAS. Bill became my mentor and mentored me for about 26 years of my life and he was the one who told me that I had to be different and find something which made me stand out from the rest. So I started putting in the flowers and you know something? He was right and it worked. Did that also fit with your personal expression of art Sue? Yes absolutely. We live in the mountains of Virginia and I love nature and flowers. I would always photograph nature and automobiles and just decided to put them together. Sometimes I look at them and think they are just crazy but they are very expressive and colourful. I want the viewer to see the nature and the car. 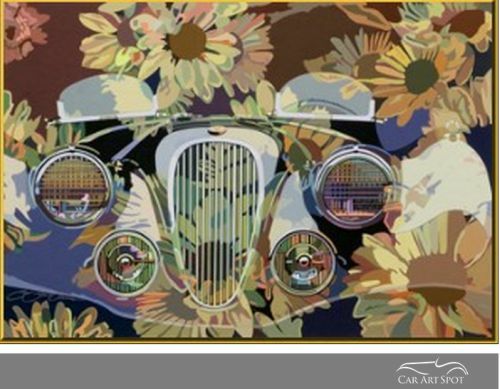 I really like your painting of the car with the daisies. It’s almost as if the daisies are competing with the automobile. Well as an artist, I am so involved in the process of doing the painting and then later I look at it and see things which I didn’t even realize I was painting. When I look at my newer work, it makes me really excited and I am able to appreciate it myself. So how does the process work? How do you come up with the idea and concept? I use my husbands brains. He is a painter, a semi-retired Art Professor and he has great ideas. So we put our ideas together to come up with imagery. I sketch and draw the old fashioned way and he will pull something up on the computer because he is a really good digitial guy. We both take photo’s and he has been a great partner helping to create this new side of Sue. I use gouache and have to segment everything and I think that’s what helps make my work unique because everything has it’s own entity. 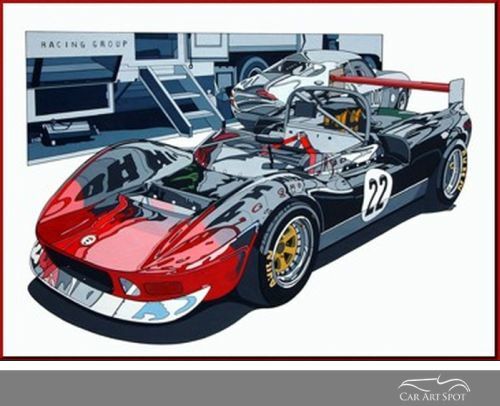 There are a lot of great water colour artists but your technique really stands out from anything else I have seen in automotive art. I work with gouache and you can’t mix it. I work in shapes. I’ve been trying to figure gouache out for many years and if it’s wrong you have to take it off because you can’t paint over it. Is it a long process to do one painting Sue? It is a long process and sometimes after an exhibition, some of my automotive peers will pat me on the back and they’ll say ‘Well Sue it’s been nice exhibiting with you and now go home and try to get faster’. They always tell me that because the process I use is so long and I don’t paint as many paintings as they do. A lot of work goes into all the shapes and if you look at my paintings close up, it’s pretty neat. I’ve actually worked on a couple of paintings for a year and a half while doing other paintings in the meantime. 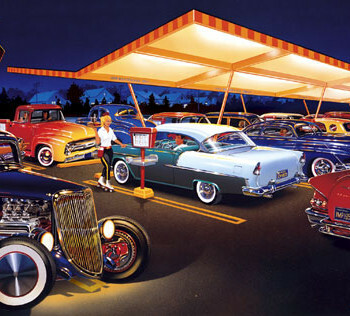 Are any of your students interested in automotive art? I have so many fans amongst my students who love cars and are really inspired. That is an incredible compliment to me that they are interested in the automobile. I reckon they think it’s pretty incredible that I am a female painting automotives and I hope I have opened up the door for other females to do the same. What is the most important lesson that you teach your students? That they can do or be anything that they choose. They don’t have to settle. When they ask me how they can achieve that, I tell them it’s called ‘hard work’. It doesn’t matter what field or what you are going to do, when you think you’ve worked hard, you are going to have to work even harder. You can’t paint once a week and be successful. You have to be dedicated enough to give up some things in life. I have and I took the chance to paint 8-10 hours a day which turned out to be a wonderful opportunity and propelled me into a lot of great things because I have learned my craft. So it takes time and it takes work. You need to paint everyday. If you don’t feel that way about it, you shouldn’t do it. You need to want it badly enough. Do your students all have that kind of passion and dedication to make the sacrifices that come with being an artist? A lot of my students do have that passion and I teach advanced levels of courses and they are the students who become more and more serious. One of my students has taken my water colour classes for about ten years and he has become a really good water colour artist. I am really proud of some of my students. They have taught me a lot. It’s not just a one sided thing in the learning business. They encourage me to paint and have taught me about myself. I have several students who are probably going to be very succesful out there. Do you share your work with your students and have them critique it? I do. I take a new painting when it’s in the process and sometimes I take it when it’s finished. I love to get their critique. It’s really nice that you and your husband encourage each other. Do you also critique each other? Are you kidding? We are both very vocal. One time, he was sitting at the drawing table with a really serious look on his face and I asked him what was wrong. He said ‘Sue, this tyre is not round’ and he had some tracing paper and a pencil going over my tyre showing me how to draw the tyre. And I was like ‘don’t you have something else to do?’. Seriously though, we critique each other in a very positive way and it’s great. 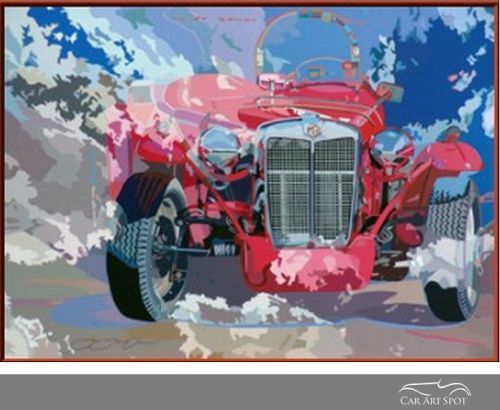 Are there any other automotive artists who inspire you? Oh my goodness, so many. 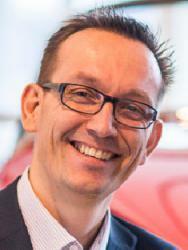 I recently became an associate member of AFAS. Of course everyone wants to be a member of the AFAS and I feel very fortunate. I have been a fan of Ken Eberts, William Motta and Ken Dallison for years. Also Nicola Wood, who I got to exhibit with a couple of years ago. We hugged each other and she is just such a beautiful lady who is an incredible artist. 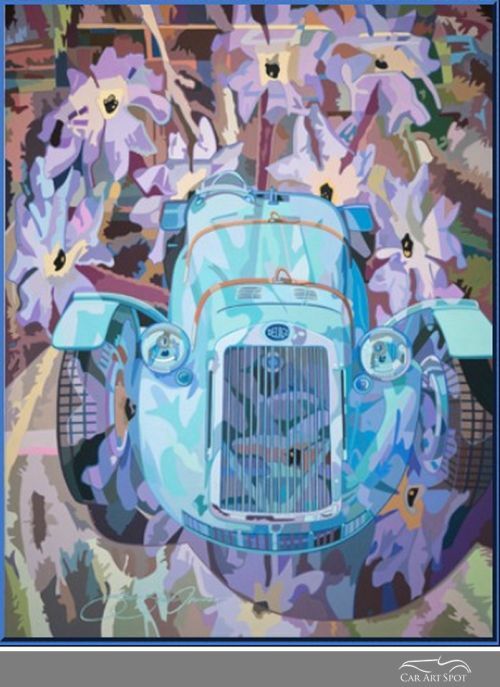 I’ve done the Concours and have exhibited with people like Roger Blanchard, who is a friend and a wonderful person. Roger got me an invitation to the first art show I ever did and is a great guy. Charlie Maher is another great guy and we go way back. There are so many and these guys are like family. We’ve adopted them and they’ve adopted us. We have this wonderful comradery but we are really grateful to each other and proud of each other and very inspired to be better. Those guys have helped me so much along the way and I am so glad to be in this world. It’s such an honour. But you need to be competitive and work really hard. I looked at your awards and quite a lot of them are related to aumototive art. 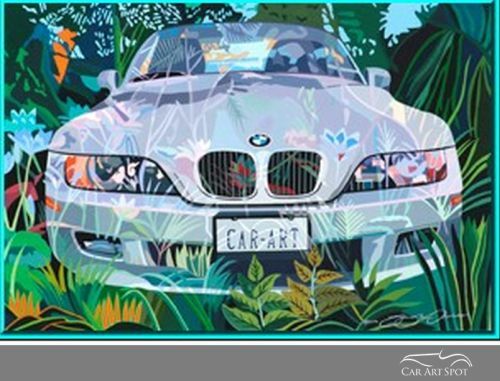 What do you think is needed to get automotive art accepted in the regular fine arts world? I think that is a really good question. My husband and I think about that all the time and ask ourselves how we can get in as an art form to be accepted in the main stream. The calibre of art is very high and we need to be even better but also need people to consider it as fine art and to promote and sponsor us. 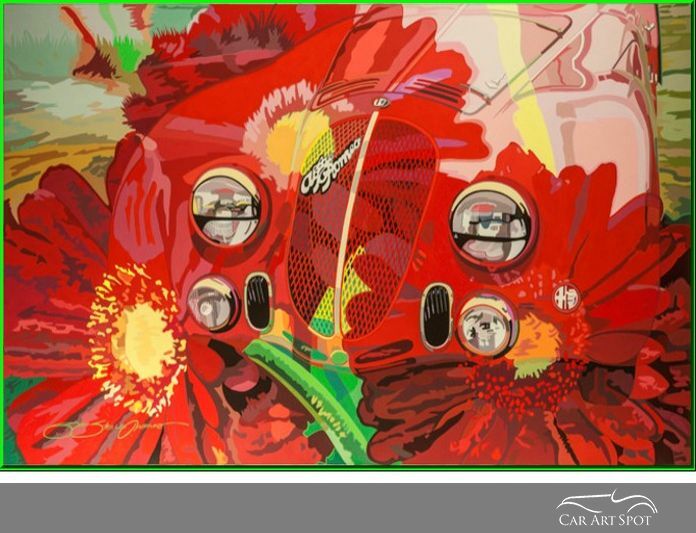 Automotive Art is a really unique art form. We need to capture the attention of people who appreciate automotives and art as well and we need exposure and to be appreciated for what we do. I want my art to be in the right places and I live by my motto ‘we can be and do anything we choose’. To see more of Sue's work, please visit her website.